A bit of fun -- Dry Bones by the Cathedral Quartet. I bless you for the day you have made, Mighty Lord God, and pray that I may spend this day rejoicing in your creation. I pray for your Holy Spirit to fill me with the joy of my salvation, so that your light may shine through me into the world, that your honor and glory may be known to all people. Send your Holy Spirit to deepen my worship life. Open my heart to the gifts and cultures which surround my church. Open my heart to the people who are different from me. In Jesus' name, I pray. Walk with me, so that I may not be alone as I face this day, but always in your presence. Your joy is a lighthouse in a world often dark with sin, and I pray that I may inspire others as I have been inspired. In the name of Christ, bless me this day, and all whom I may meet. 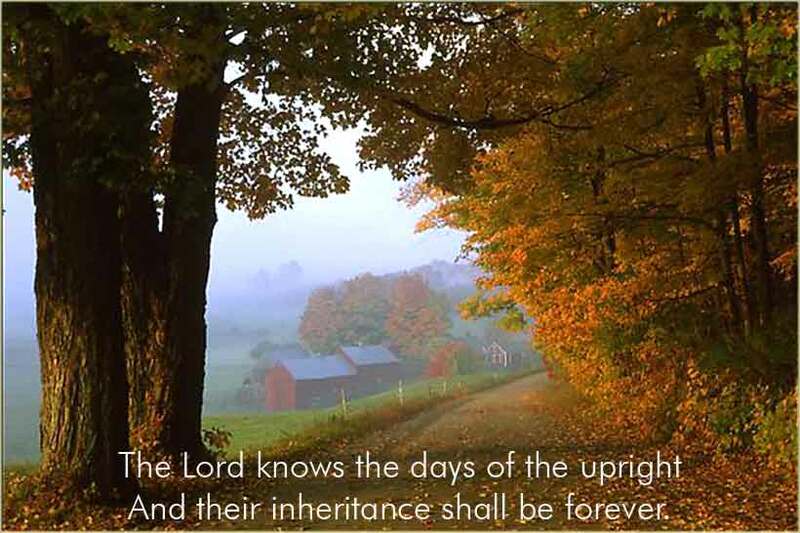 And their inheritance shall be forever. And in the days of famine they shall be satisfied. And the enemies of the Lord, like the splendor of the meadows, shall vanish. Into smoke they shall vanish away. 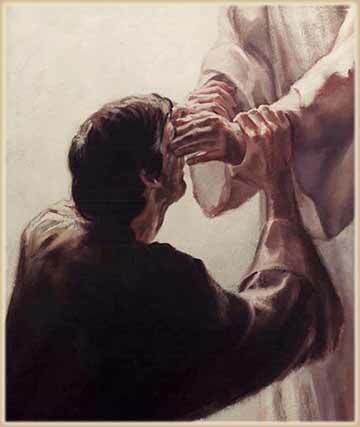 First, I thank my God through Jesus Christ for all of you, because your faith is proclaimed in all the world. For God is my witness, whom I serve with my spirit in the gospel of his Son, that without ceasing I mention you always in my prayers, asking that somehow by God's will I may now at last succeed in coming to you. For I long to see you, that I may impart to you some spiritual gift to strengthen you — that is, that we may be mutually encouraged by each other's faith, both yours and mine. When Paul tells the Roman church that their faith is proclaimed throughout the world, he is not exaggerating. A new Jewish sect growing in Jerusalem or Antioch is one thing. But Rome was a city like no other, unequaled in Western history for the sheer concentration of wealth and power. And although the Roman religion was not one that sought converts among conquered peoples, it was enormously important in Rome itself. It was very much tied to the government. So the rise of a faithful, even fanatical, new religion in Rome itself, based in the faith of the Jews, would have attracted great attention, not only from fellow Christians, but also from the general population of the Empire. To Christians, the church was remarkable for a second reason. It had not been founded by Paul or any of the great apostles. As far as we know, no apostle had even visited it. And yet, it prospered in remarkable faith. And just as remarkable, the bulk of the Roman church was almost certainly Gentiles. Claudius had expelled the Jews from Rome at the point of a sword. He had only been dead for three years when this epistle was written. Most Jews would have been uneasy at the thought of living in Rome. They had no way of knowing if their presence would be tolerated, or for how long. We can hear two different reactions to this in Paul's words. He is genuinely filled with a sense of thanks and praise, not to mention a touch of surprise. How did this miracle happen? It is their "faith" that is proclaimed, and it is faith that sustains them. The Roman church is almost a miracle of faith. Also, however, Paul knows that the Roman church is desperately in need of fundamental guidance, lest their faith drive them into error. The early church was chaotic. Countless people with partial knowledge were teaching all sorts of things under the rubric of "Christianity" by now. There were people who, with little background or knowledge, simply proclaimed themselves apostles and even "super-apostles". Paul knows the gift he has, that he can give to the church at Rome: A true grounding in the fundamentals of the Gospel. It is not pride that drives him, but confidence and conviction. And at the same time, he gives them some credit. He is humble enough to realize that the sheer magnitude of the Romans' faith would be wonderful to behold, and share.